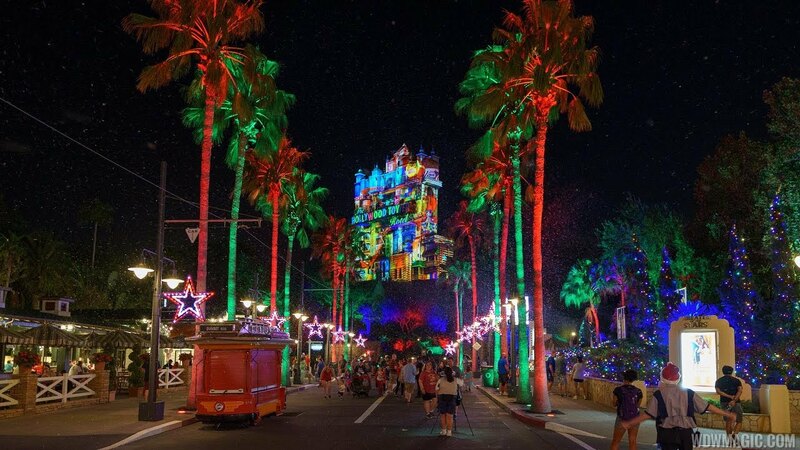 Nov 06, 2017 in "Sunset Seasons Greetings"
Disney's Hollywood Studios unveiled its latest Christmas projection show earlier tonight during an Annual Passholder preview ahead of its official start on November 9. Check out this video for a look at the entire Sunset Seasons Greetings show from today's preview. The show will run continuously each evening November 9 to December 31 2017, from 6:30pm to 8pm. Click the gallery or more pictures from Sunset Seasons Greetings.